This bag contains about 40 to 50 mealworms with a Texan style seasoning. 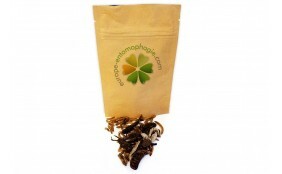 Mealworms contained in this package have been prepared with a mix of spices, tomatoes and peppers. Designed to be eaten as crackers, these edible insects are great to share with your friends and family or just as a snack. 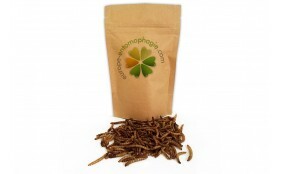 After the curry mealworms, our store is proud to offer you an other recipe, Texan Style Mealworms. This delicious recipe contains natural ingredients like pepper, spices and tomato. This is a great way to discover edible bugs differently. In this packet you will find about 40 to 50 worms that were previously cleaned and cooked. What we call mealworms are actually the yellow larvaes of a type of beetle. The larvae is the intermediate stage between the egg and the adulthood. These larvae measures approximately 3 cm and their colour is golden yellow. Once dehydrated mealworms taste like chicken chips, this is why they taste so good with the spices of our Texan preparation. While taking into account the opinion of our customers, we are determined to make people discover new recipes so they can try edible bugs more easily. Mealworms can also be eaten plain, but they taste really good when flavored like the Cheese Mealworms or the Curry Mealworms. Do not be put off by their weird appearance, you would miss out on a truly different and original experience. Did you know edible insects were good for your health? They are filled with protein, minerals and vitamins, with a low level of fat. But above all, they really taste great ! 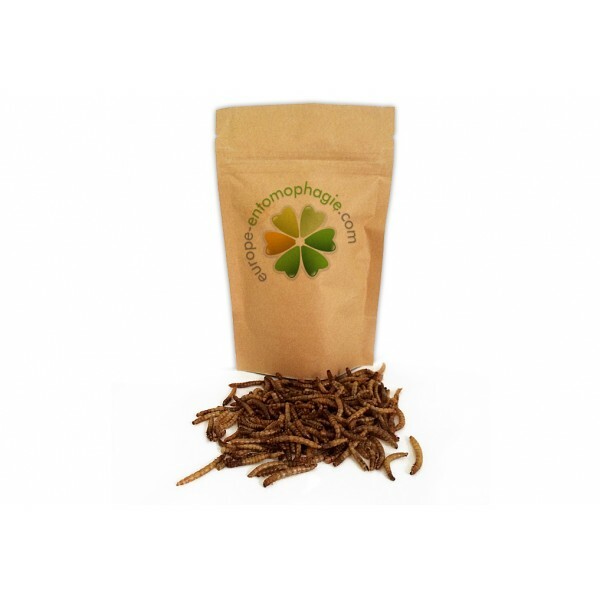 We are pretty sure that this Texan Style Mealworms can convince even the most reluctant. 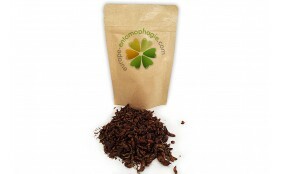 Here is a perfect introduction to entomophagy (eating insects) you should try now! Mealworms provide as much protein as meat from traditional farms, but they are much more than an alternative source of healthy protein. 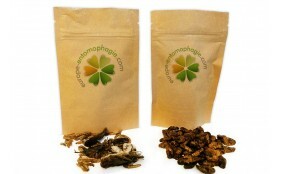 Insects are actually the future of food, we are positive about it! Raising insects is much less polluting than farms counting hundreds of cattle. 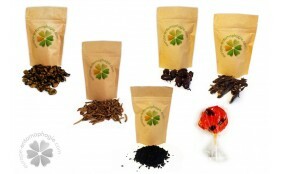 Edible bugs are also recognized by the United Nations as one of most promising alternative foods of the future. We hope that our Texan recipe of mealworms will help you move beyond the curiosity to enter fully into the entomophagy world. Je préfère ceux au curry, mais ces vers de farine à la sauce BBQ sont vraiment bons aussi. Cela rassure quand au futur de l'entomophagie bien sur. J'en ai mélangé avec de la viande à BBQ l'été dernier. Effet garanti. C'est plutôt sympa. Je vous le recommande.